On November 27, in honor of Native American Heritage Day in Arizona, Enchantment Resort and Mii amo will host a variety of celebratory activities, performances, and seminars, paying tribute to the tribes that grace the region and inspire offerings at both properties year-round. 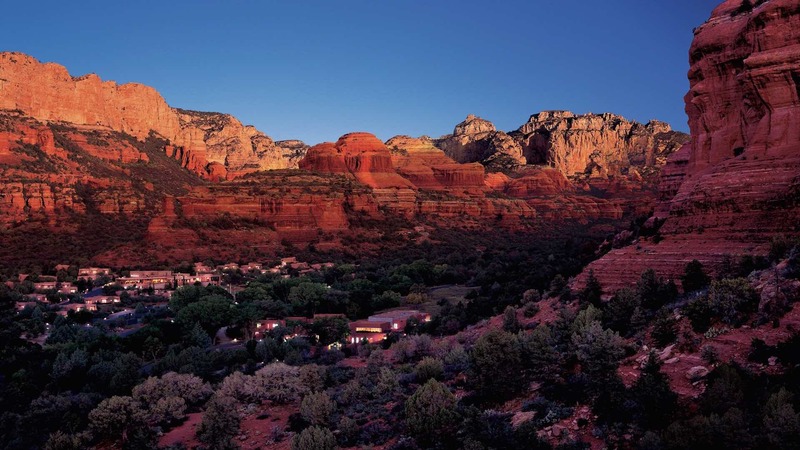 Enchantment Resort is set in Boynton Canyon at the heart of Northern Arizona’s Red Rock Country. The canyon has long been known as a place of healing and, according to Yavapai-Apache legend, it is where First Woman – with the sun and rain gods – restored the tribe to their long cherished land. This vivid landscape was (and continues to be) home to a variety of Native American tribes, including the Hopi, Yavapai, Apache and Navajo, who have long considered the place to be a source of spiritual inspiration. The land, its energy and history, and the wisdom and traditions of the people who lived (and live) here, all led to the establishment of the Native American Program at Enchantment. It is an ongoing initiative to accurately and respectfully present aspects of Native American history and culture in ways consistent with tribal values and traditions. The resort’s adobe architecture was designed to honor this special place and evoke the ancient cliff dwellings that were once temporary homes of a long-ago people. Mii amo, a destination spa at Enchantment, offers treatments that incorporate Native American influences and healing elements. 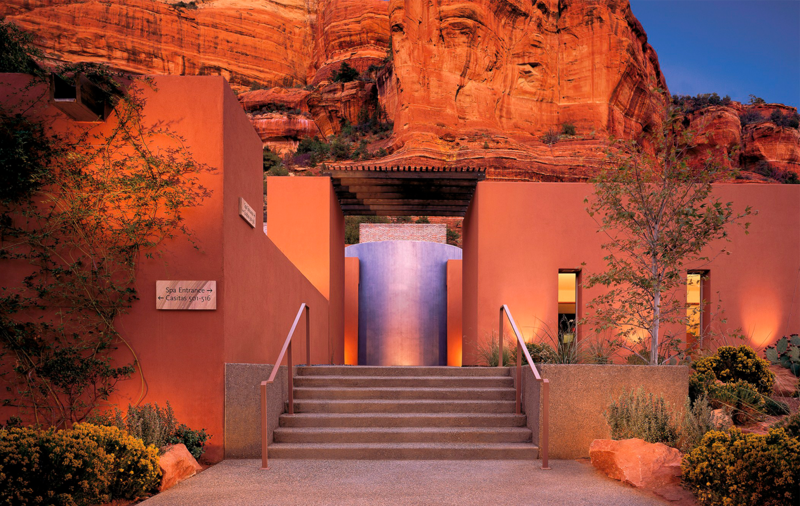 The spa takes its name from a word in the Yuman dialect of Northern Arizona signifying “to continue one’s path, moving forward, or journey.” It is designed as a place for learning, exploring and absorbing very personalized qualities of well-being and balanced living, as inspired by the traditions of Native American peoples and the energy of the Sedona landscape. Mii amo offers selected treatments outdoors, at the base of the red cliffs, in one of five wikiups. These private wood structures are like those traditionally used by various Native American cultures in the Southwest. Working with local traditions, spa therapists develop treatments that incorporate Native American healing elements, like the Blue Corn Body Polish, which was used to cleanse and purify the skin. Mii amo created their own blend of blue corn with mineral salt crystals and oil that leaves one feeling as rejuvenated as the earth after a refreshing rain. A thoughtful and diverse program that pays tribute to the area’s rich heritage has been developed for guests at Enchantment, in concert with local communities of Native American tribes, and includes dance, musical performances, storytelling, arts and crafts demonstrations, guided medicine walks and more. Performers and participants are from area tribes whose elders have approved their participation as a way to educate and inform resort guests and staff about their history and culture.
. The Hopi Polequaptewa Dance Group invites you to celebrate with them their heritage through music and social dances. 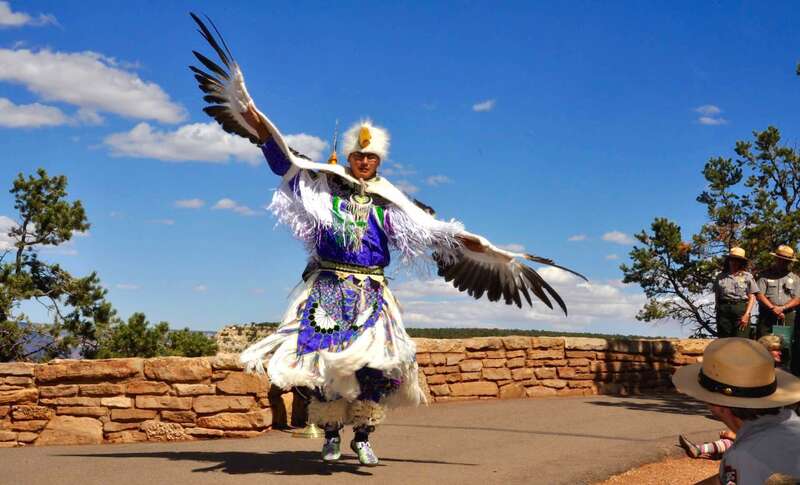 The Hopi Eagle dance, the Comanche Dance (honoring neighboring tribes) as well as the Warrior Dance will be performed. This special occasion will bring blessings to the canyon and to all who attend. Heritage Day Blessing, 3:00pm – 4:00pm, Tipi. Honoring the history and power of the canyon surrounding us re-energizes our spirit and will bring many blessings.
. Meet Allan ‘RJ’ Joseph, Northern Plains Cree, writer and director of the documentary “Che Ah Chi: The History of Boynton Canyon” for a screening about the history of this beautiful area.
. Following the documentary, Allan ‘RJ’ Joseph, will lead a discussion where guests can ask questions about the movie, as well as what it means to be a traditional Native American in a modern age. 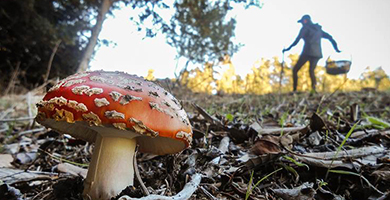 In addition, guests are invited to participate in ongoing activities, such as viewing a documentary film: “Che Ah Chi: The History of Boynton Canyon,” listening to a Native American flutist, and enjoying seasonal events and celebrations at the resort. Kids (ages 4-12) can participate in a Camp Coyote program on-site, which includes arts and crafts projects, such as weaving dream catchers and rhythmic drumming.